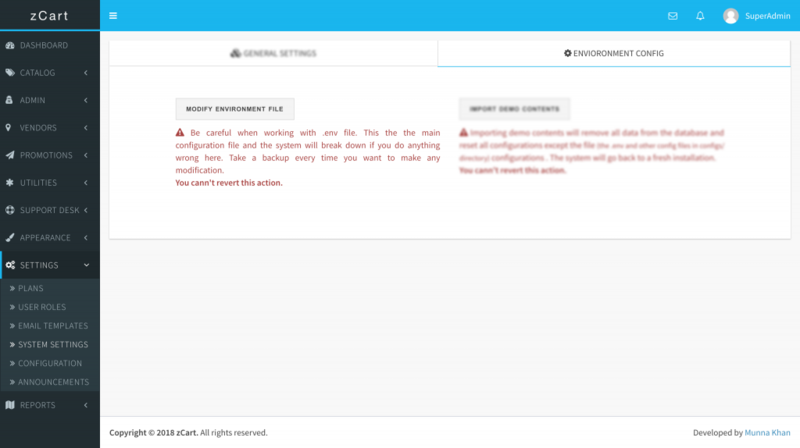 To modify the environment or .env file, navigate to SETTINGS SYSTEM SETTINGS ENVIRONMENT CONFIG from your admin panel and click MODIFY ENVIRONMENT FILE button. Info: Only the super admin can modify the .env file. Warning! 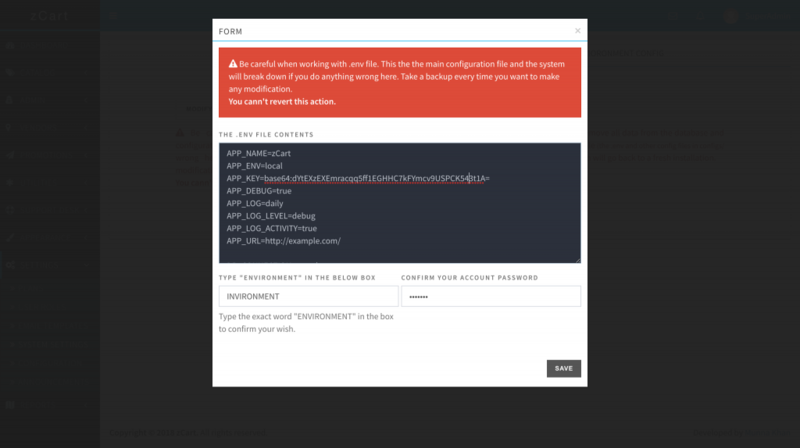 Be careful when working with .env file. This is the main configuration file and the system will break down if you do anything wrong here. Take a backup every time you want to make any modification. Make your changes and click the SAVE button. You’ll be required to confirm your authenticity to project the system from accidental damage.